What Do Our Students Say? More new helpful articles. Subscribe for updates! French is considered to be the language of love, however, you can find the phrases to express your feelings in almost any language. 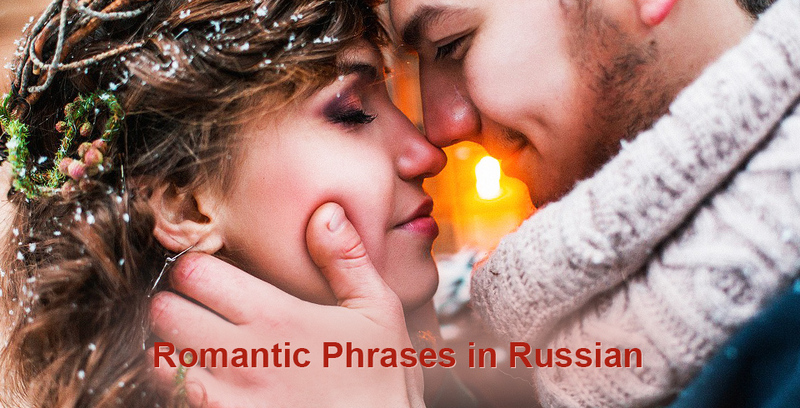 Today we present to you a small phrasebook “Romantic Phrases in Russian”, so when you happen to be in a romantic and exciting situation, you know what to say. If you really like someone, and you are willing to say it, you can use one of the following phrases. ты – лучше всех на свете – [ty – lutshe fsyeh na svyetye ] You are better than anyone else in the world. You might also need some expressions to confess in love. я тебя обожаю [ya teebya abazhayu] – I adore you. The list of phrases you might need is definitely not full, but knowing at least the ones from our phrase book you will always know what to say. Try to use your imagination, and you might make up your own expressions, which are absolutely unique and exquisite. Copyright © 2012-2016 Learn Russian In European Union All rights reserved. Design by LatInSoft.